Searching for a functional and attractive window treatment? Plantation blinds and shutters could be for you. Offering high-quality protection without sacrificing on style, plantation shutters are becoming increasingly popular for homes and businesses throughout Perth. At Affordable Shutters & Blinds, we specialise in manufacturing, supplying and installing made-to-measure plantation shutters. With significant expertise and experience working with a huge range of shutters, we’re able to provide reliable and accurate advice on what’s best for your property. Learn more about why you should choose plantation shutters and what to look out for when it comes to investing in your window coverings. Multifunctional and stylish, plantation shutters provide an extensive range of benefits to homes of all types. Available in a huge range of styles and designs, your shutters can be customised to suit your preferences. Control light, airflow, heat and glare in summer to keep your property cool and add a layer of insulation against the cold in winter. Keeping your shutters cleaned and maintained is easy, requiring just a quick wipe every now and then to keep them looking new. With so many options on the market, we’ve put together a simple guide to help you choose the right plantation shutters for your property. From their engineering and construction through to their style and design, our experts take the guesswork out of selecting plantation shutters. There’s nothing worse than dodgy blinds or shutters that don’t work well and seem to break easily. From poor functionality to inferior quality, you shouldn’t have to waste your money on a sub-par product. Choose plantation shutters that have been engineered and constructed to last and your wallet will thank you for it in the long run. At Affordable Shutters & Blinds, our plantation shutters are built from sturdy, durable and quality materials and components to offer you guaranteed years of functionality and performance. Find that you’re losing cool in summer and heat in winter? Your window coverings could be the culprit. With plantation shutters, you’re able to enhance the insulation of your home and control temperatures easily. To work with maximum functionality and efficiency, plantation shutters need to be made-to-measure to completely cover your windows and to provide effective insulation. Able to keep out heat from the sun in summer and keep in warm temperatures during winter, good quality plantation shutters can help maintain a comfortable living temperature without relying on heating and cooling. Add an extra layer of security without the need for intimidating bars or barriers. With plantation shutters, your windows are protected and your home’s access points are restricted. Installed with precision and locked in place by experts, good quality plantation shutters are virtually impossible to penetrate. Acting as a deterrent for threats and intruders, your home becomes safer and more secure while benefiting from the multifunctional characteristics of plantation shutters. Plantation shutters are a timeless window covering that can be customised to suit all types of homes. From traditional and grand to contemporary and modern, plantation shutters blend well with a huge range of home decor and styling. Exuding luxury while providing full function and security, plantation shutters are an elegant and sophisticated alternative to everyday blinds and curtains. If you’re keen on reducing your environmental impact, plantation shutters are for you. Many varieties are made from non-toxic and recyclable materials and are engineered to last decades. That means less waste from replacement parts and a minimised carbon footprint in the long run. Forget complex and hard-to-find cleaning solutions and equipment; plantation shutters are simple to maintain and keep looking fresh. All they need is a wipe with a cloth using an everyday surface spray to look fresh, new and clean. 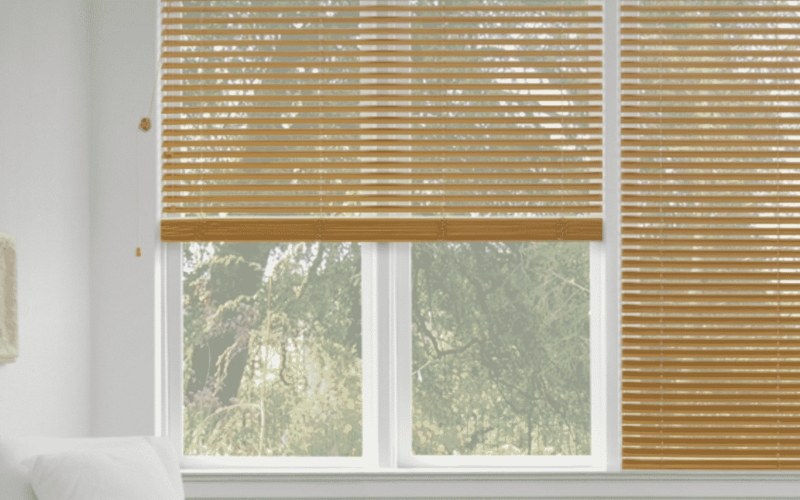 Searching for good quality plantation blinds and shutters in Perth? Affordable Shutters & Blinds has you covered. As Perth’s experts in window coverings, we specialise in pairing you with the right solution to suit your needs. Learn more about our full range of premium shutters and blinds and get started on creating your custom window coverings. Contact us today on (08) 9399 9619.